A tax loophole exempting tar sands pipeline operators from paying an eight-cent tax per barrel of oil they transport in the US is costing the federal Oil Spill Liability Trust Fund millions of dollars every year. With expected increases in tar sands oil production over the next five years, this loophole may have deprived US citizens of $400-million dollars worth of critical oil-spill protection funds come 2017. According to a report by the US Natural Resources Committee the federal government pays for immediate oil-spill response from the Liability Trust Fund which is supported by an excise tax on all crude oil and gas products in the US. But in 2011 the Internal Revenue Service exempted tar sands oil from the tax, saying the substance did not fit the characterization of crude oil. This exemption has come under scrutiny this week after Exxon Mobil’s Pegasus pipeline ruptured in Mayflower, Arkansas, releasing 300,000 litres of tar sands oil and water into a residential neighbourhood and surrounding wetlands. Because the line carried tar sands-derived oil from Alberta, Exxon was exempt from paying into the spill liability fund for the corrosive fuel’s potential cleanup. The Pegasus pipeline was built in the 1940s to carry regular crude north from the Gulf Coast. In 2006, Exxon reversed the flow of the 1300 kilometre line in order to transport tar sands diluted bitumen from Illinois to the coast. The Enbridge disaster in Michigan’s Kalamazoo river has cost over $820 million, making it the most expensive onshore cleanup in US history. Enbridge, the company currently vying to build a 1172 kilometre-long pipeline from Alberta to the British Columbia coast, currently has no spill-response plan – for either onshore or offshore spills – prepared for the project. During cross-examination in the Northern Gateway Pipeline hearings in BC, Enbridge admitted they will have no spill response plan until six months before the proposed tar sands line will begin operation. An investigation in the Enbridge Kalamazoo disaster found the company – due to “pervasive organizational failures” – improperly respond to the pipeline breach. The US National Transportation Safety Board likened Enbridge employees to the Keystone Kops – a clumsy, incompetent troups of cops from the silent films of the early 20th century. The estimated cleanup cost for conventional oil run at about $2000 per barrel of oil. 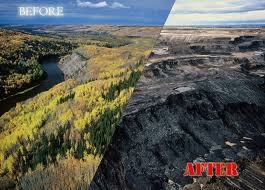 Tar sands diluted bitumen cleanup is estimated to cost an average $29,000 per barrel of spilled oil. The Oil Spill Liability Trust Fund was established in the wake of the Exxon Valdez oil spill, when the enormous costs of oil spill recovery were first understood on a grand scale, to ensure adequate cleanup funds were available to protect local residents and ecosystems. As Climate Progress reported in 2010, Exxon refused to shoulder the cost of cleanup in the Valdez, where more than 11 million gallons of crude oil contaminated almost 3000 kilometres of shoreline. “Exxon fought paying damages and appealed court decisions multiple times, and they have still not paid in full. Years of fighting and court appeals on Exxon’s part finally concluded with a U.S. Supreme Court decision in 2008 that found that Exxon only had to pay $507.5 million of the original 1994 court decree for $5 billion in punitive damages. And as of 2009, Exxon had paid only $383 million of this $507.5 million to those who sued, stalling on the rest and fighting the $500 million in interest owed to fishermen and other small businesses from more than 12 years of litigation. And as DeSmogBlog’s Ben Jervey reports, Exxon has a long and litigious history of evading cleanup costs. The US is facing a dramatic increase of tar sands oil imports. As the National Resource Committee estimates, production in the Alberta tar sands is projected to rise to over 2.7 million barrels per day in 2017. The tar sands industry projects figures as high as 5 million barrels per day in 2030 and 6 million per day in 2035. Currently approved projects have the capacity to produce 5.2 million barrels per day. Regardless of how many barrels of tar sands oil will be traversing US soil, none of them should be exempt from spill liability taxes. If anything, corrosive diluted bitumen should be taxed more for the inherent dangers it present to local ecologies and communities during its production, refining, and transport.